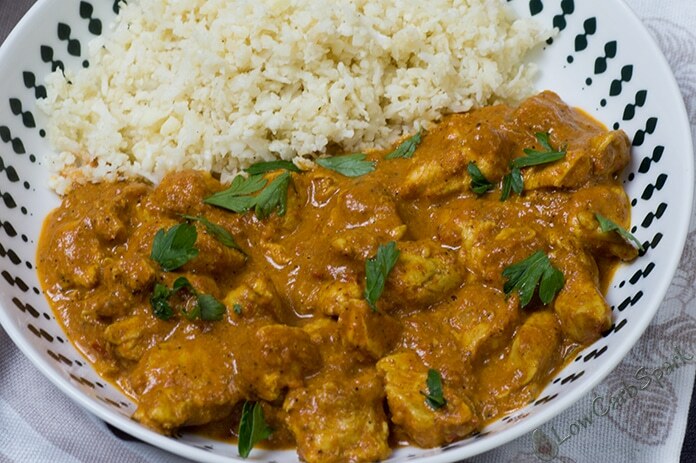 This keto butter chicken recipe is part of the Indian cuisine. It is a bomb recipe, an explosion of flavors, tons of spices in every bite and I am sure you will instantly fall in love with the Indian food. Ready in 30 minutes it is a family-friendly meal, easy to make and perfect for friends gatherings. I have no words to describe the feeling I got when I first taste tested the recipe. It reminded me of a meal that I had in an Indian Restaurant. I actually ate Indian only once in a restaurant, and I completely fell in love. I have a few Indian friends that cook delicious food often. The best part is that Indian food is naturally low in carbs. Butter chicken is an incredible recipe that will impress anyone. I guess it is one of the most popular dishes in India. There’s no way you can make this recipe wrong because it requires no cooking experience. Just gather all the ingredients and let’s start cooking. 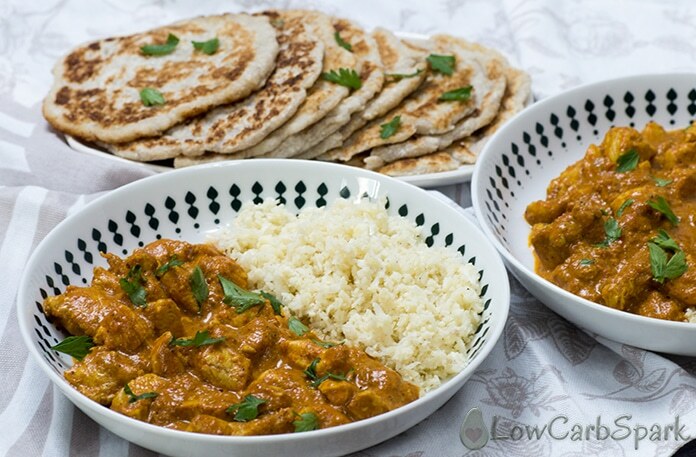 You can find many butter chicken recipes online, ones that use coconut cream instead of heavy whipping cream, others call of thickening agents such as corn starch other include different vegetables. 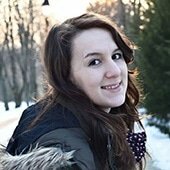 I even saw one recipe made without any butter to reduce the fat content, which I find very annoying because fat it actually healthy and keeps you full for longer. All that being said I will share my favorite keto butter chicken version, which I tested and shared with my family and friends. 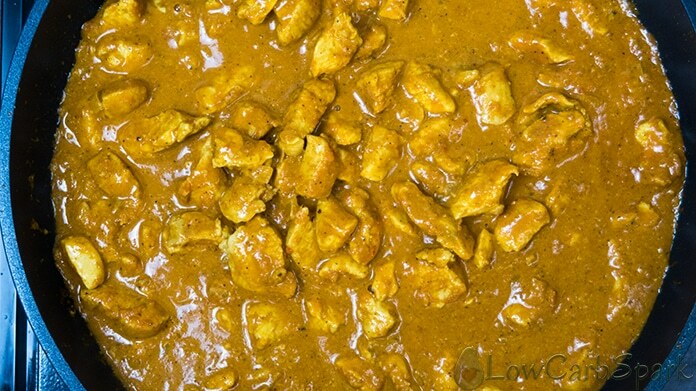 Here’s a step-by-step video guide showing you exactly how I make my butter chicken recipe. It has a nice orange color but that is dictated by the ratio of tomato sauce to the whipping cream. Sometimes I add one tablespoon of turmeric powder for extra health benefits and a yellow touch. As you can see you’ll need quite a few basic ingredients that I ‘m sure you already have in your kitchen. Garam masala is a must in this recipe. It is an Indian blend of spices such as coriander, cumin, cardamom, cloves, black pepper, cinnamon, and nutmeg. All you have to do is to place the spices into a small dry pan over medium-high heat. Stir constantly for about 10 minutes, until the ingredients get slightly brown and have a toasty aroma. Using a coffee grinder, pulse until they become a powder. Mix in the freshly grated nutmeg. Keep the spice mix in an airtight container. 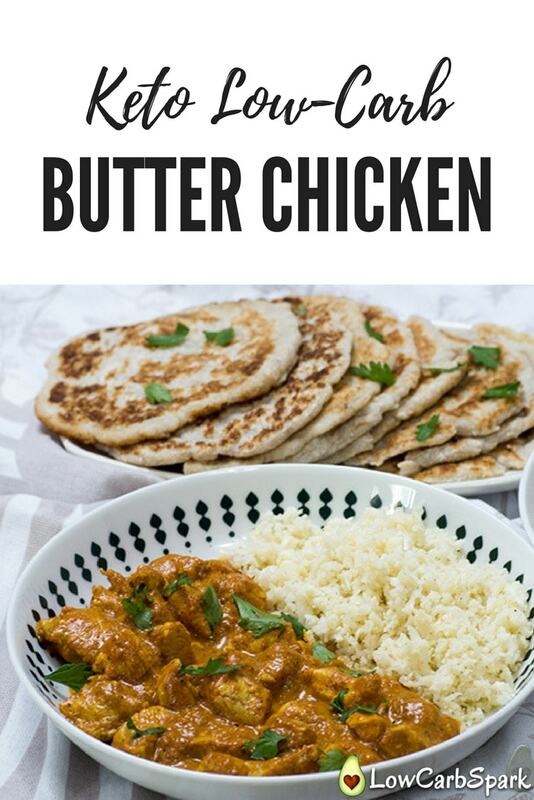 How to make Keto Butter Chicken? Once you found all the ingredients start cooking this amazing recipe. 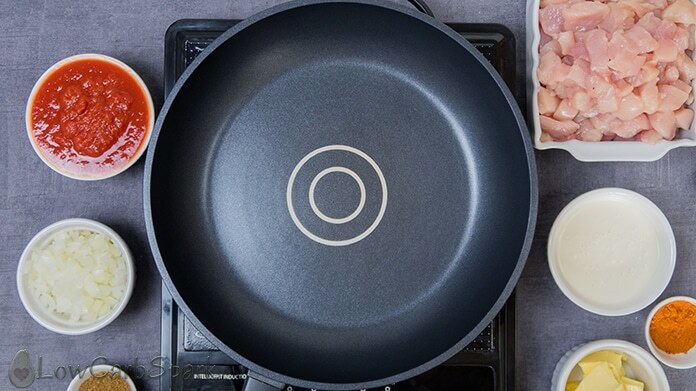 You’ll need a pan big enough. Start by browning the onion, garlic, and ginger in butter. Add the chicken and let it cook until it turns white on all sides. Season with the spices: Garam Masala, chili powder, turmeric powder, salt, and pepper. Pour the tomato sauce and whipping cream over the seasoned chicken and let it simmer until desired consistency. How to serve keto butter chicken? 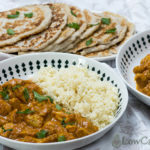 When I make butter chicken I am sure I have enough time to prepare cauliflower rice and keto naan, an Indian tortilla type bread. 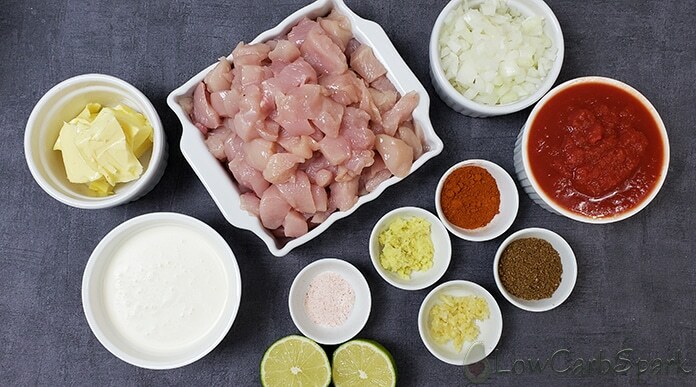 This is the best combo ever and trust me when the slightly garlicky taste meets with the buttery flavored chicken sauce and the neutral taste of the low carb rice, it will feel like heaven in your mouth. 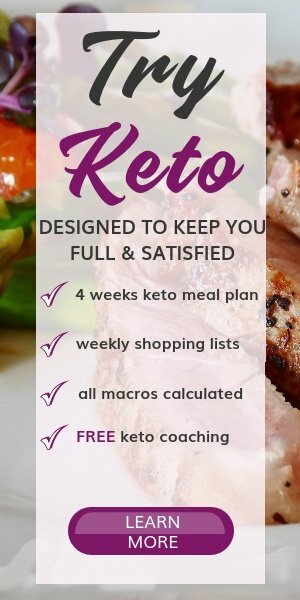 Amazing keto butter chicken recipe that tastes fantastic, it’s low-carb and super easy to make. It will definitely impress anyone. Heat a pan over medium heat and melt about two tablespoons of butter. Fry the onion, garlic and fresh ginger in butter for about 2-3 minutes until it becomes translucent. Meanwhile cut the chicken into bite-sized pieces. Add the chicken over the cooked onion and cook it for about 5 minutes, constantly stirring as shown in the video. Once the chicken looks almost cooked add the tomato sauce add the seasonings: Garam masala, chili powder, salt, and pepper to taste. Stir in the tomato sauce and heavy whipping cream. Let it simmer for 15 minutes or until it reaches desired consistency and the chicken is thoroughly cooked. Don’t substitute the butter with coconut oil, it won’t taste the same. If possible use grass-fed butter. I see at the end of the video you add the remaining butter, but the recipe does not say it. Am I supposed to add the 6 remaining Tablespoons? Yes. Add all the remaining butter :).